Interaction design can make a big difference in your website. This gives you users a way to engage and fun with your website. This can be done with graphics, animation, movies, or clickable objects. There has been a growing pattern in this field since the evolution of Web 2.0. It is becoming more important for your users to know how to use your site rather than viewing your site. Interaction design, also know as IxD, is a way to design elements for your user's human behavior. This gives your users a relationship between you and the digital device. Most interaction design has one main goal, and that is usability. There is no use doing something if the user has a hard time doing it. Your interaction should have the approach of being efficient for your user. These elements can help you guide your users to where you want them to go. This task can be harder than it sounds. To integrate your interactive design you must think like your user. Try to act like it's your first time visiting the site. Even ask yourself, how could this be easier? Try to break your application or find bugs. If you can do it, than so can your users. Any bug in your code can be a huge interaction design problem. It is breaking the relationship with your users and your website. Once you find problems with your site or application, you can start thinking how to fix it. This could be as easy as changing the color of a button. Or can be extensive of a complete rewrite. Write down the problem and your solution. It doesn't matter how long or short this hypothesis is. Always have your goal in mind. How are you going to fix it? Brainstrom ways or ideas how you can tackle this problem. Then draw the changes on a piece of paper to help you visualize. Even a simple wireframe can save a lot of time in development. If you need new graphics, colors theme, or navigation icons, you will need to have them ready. Make comps of different uses of colors, graphics, with or without icons. Give yourself multiple options to choose a winner from. Time to make the changes. Implement the design and interaction changes to a prototype. Once you have a live prototype of your changes. Go through the same process. Try different combinations or ways to get the same result. Try to find bug in the code. If you satisfied with your results, but it live for your audience. Bonus Tip: Once you go live monitor the results. Launch the new design and compare the results in two weeks. More and more companies are looking for individuals that have this type of experience. There is a recent increase in jobs and in salary for this types of positions. Having your team manage these types of issues can help save time but also generate more money. 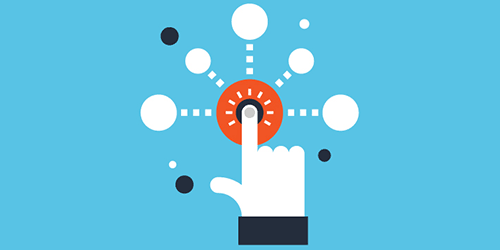 Interactive design can be used to increase conversion rates, sign ups, and sale leads. The blog provides several healthy guidance on web designing and also media design.I think the ideas are innovative and that is the reason for the popularity of this website interactive development.